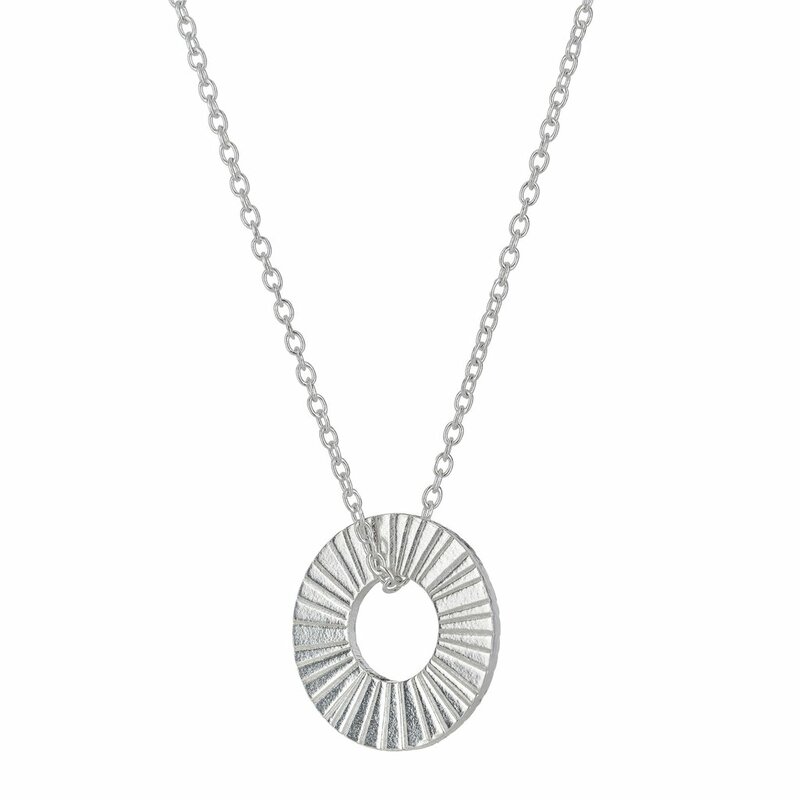 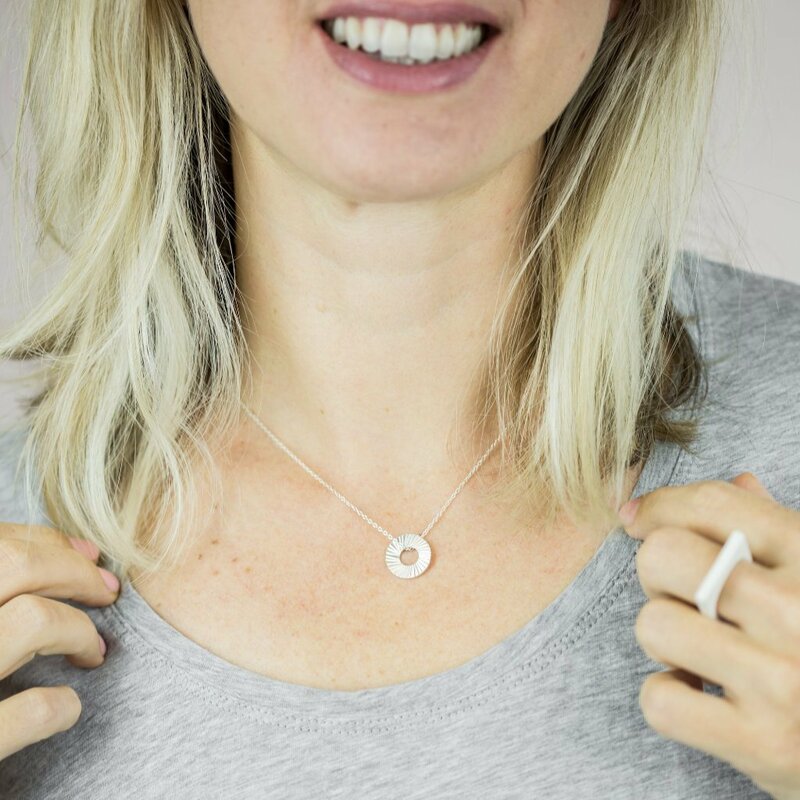 Modernand prettysilver circular charm on a sterling silver chain. 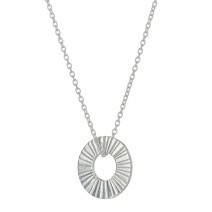 The silver circular charm measures approximately 15mm. 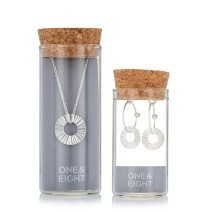 The sterling silver chain is adjustable between 16” and 18”.